I note that despite there being 52 reads passing filters for the reference genotype, the reference genotype quality is still only 1. Is RGQ affected by the presence of reads indicating a possible variant (4 in this case)? So the low RGQ score in this case reflects uncertainty over whether this position really is reference call (T/T), or if it might be a variant (A/A or A/T or T/A). If I was being super strict about only including highly certain positions in my analysis would you recommend that I assign this position a missing genotype because I can't really be sure what it is? Yes, this looks like a messy region. Notice the PL fields in the GVCF. Although the hom-ref genotype wins, the het genotype has a PL of 1. This means there really is not much confidence in the genotype. Basically, the genotype could either be hom-ref or het. Usually when the GQ is 0, we assign a ./. (no-call). 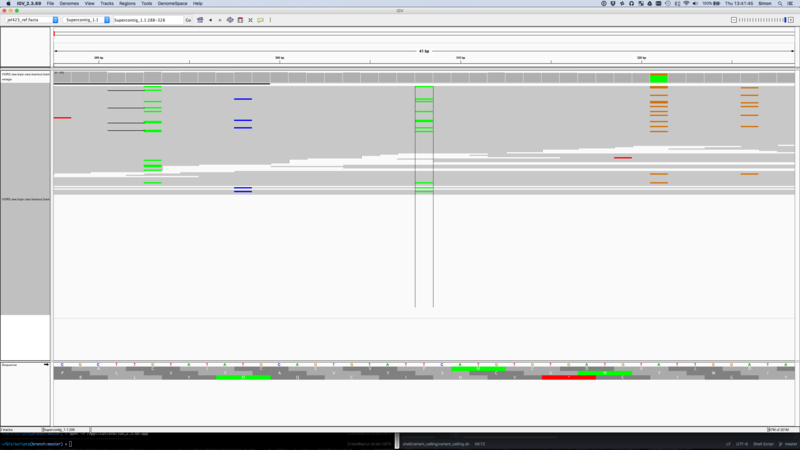 However, since there is some slight evidence in this case for the hom-ref genotype, we assign the hom-ref genotype. Did you use the GVCF workflow to get the final VCF? If so, can you post the GVCF record for the site? Please also post IGV screenshots of the original BAM file and bamout file. 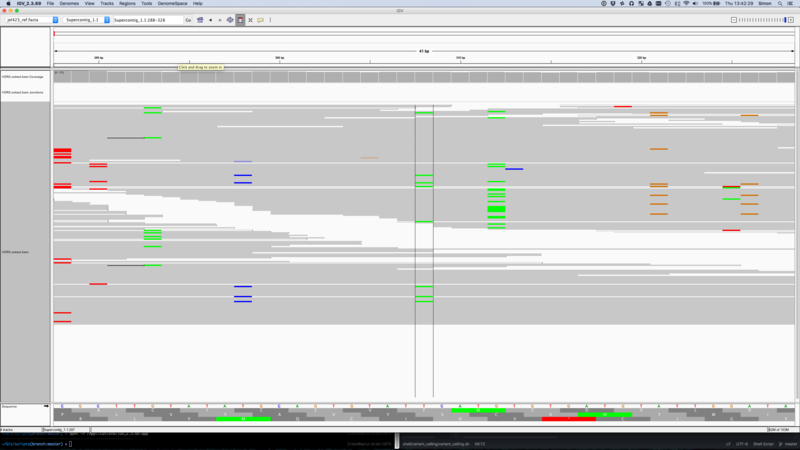 And attached are two screenshots centered on position Supercontig_1.1 308 for the bamout from HC and the original BAM.